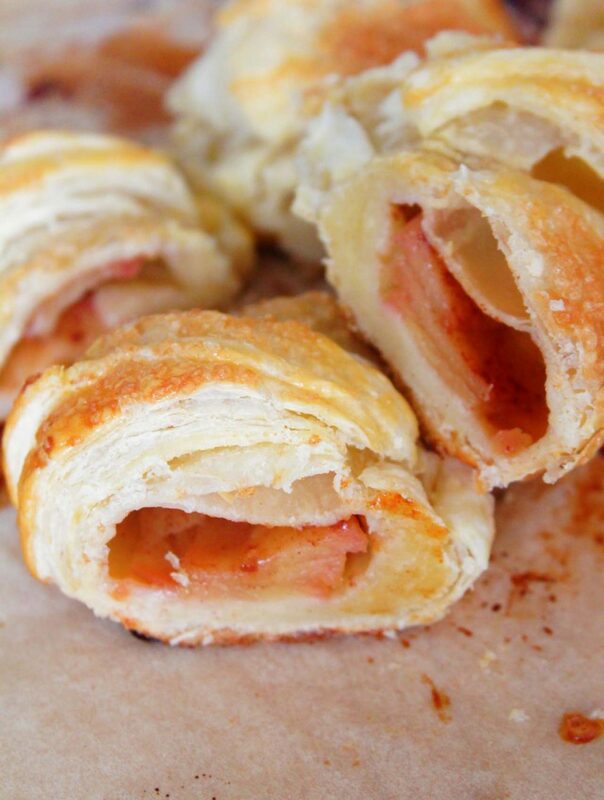 Try this apple puff pastry ring for an amazing fall dessert or breakfast idea! It’s so delicious, you wont believe how quick this comes together! Guys, this recipe is AH-MAZING!! 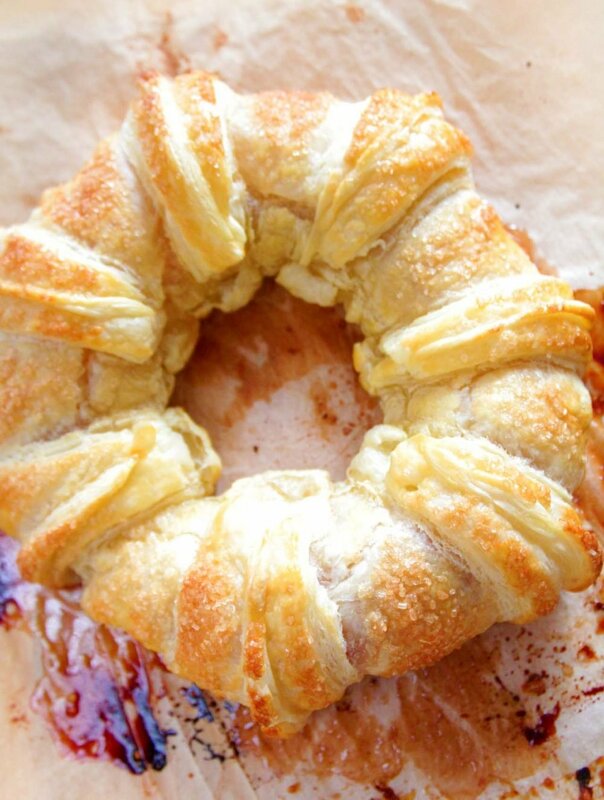 I cannot begin to tell you how excited I am about this apple puff pastry ring! And the main reason is, little munchkin girl could not stop raving about how perfect this recipe is! She kept going on and on and on about how much she loves it and that she wants me to bake it over and over again because I never baked something so delicious! Man, this never happens! And you know what’s even more awesome about this apple puff recipe? It takes little to NO effort to make! And baking? It’s just a breeze too! 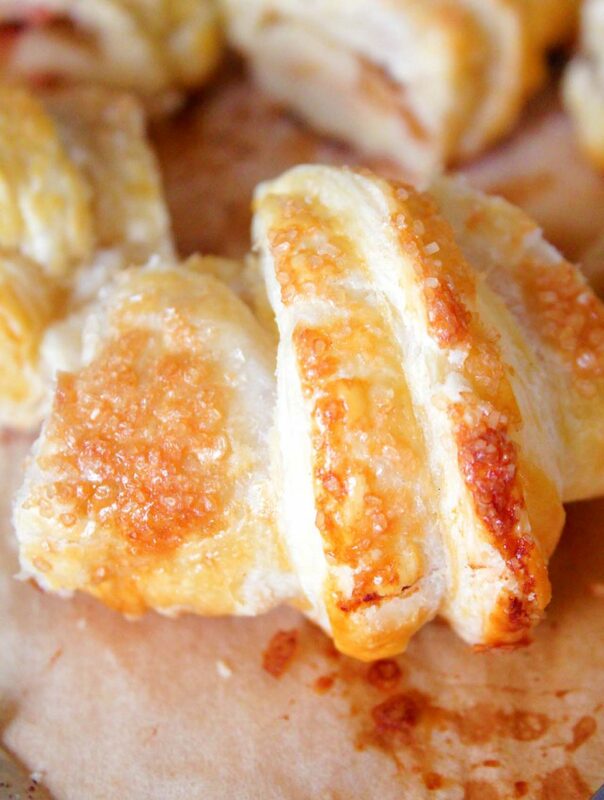 I don’t think I’ve ever made something as fuss free as these apple puffs! The only “effort” I’ve put in was cutting, coring and slicing the apples. 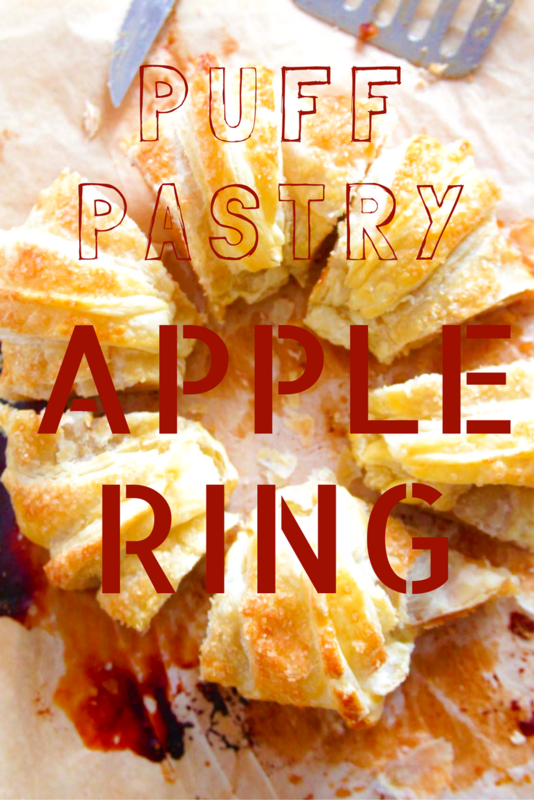 This apple ring recipe is the perfect fall dessert and while I made it super simple, its totally customizable! I chose to use apples, cinnamon, lime juice and brown sugar, but I see this working perfectly with caramel sauce or a few raisins mixed in with the apples or some vanilla sauce on top. Or you could go crazy and use all of these suggestions, I won’t judge! 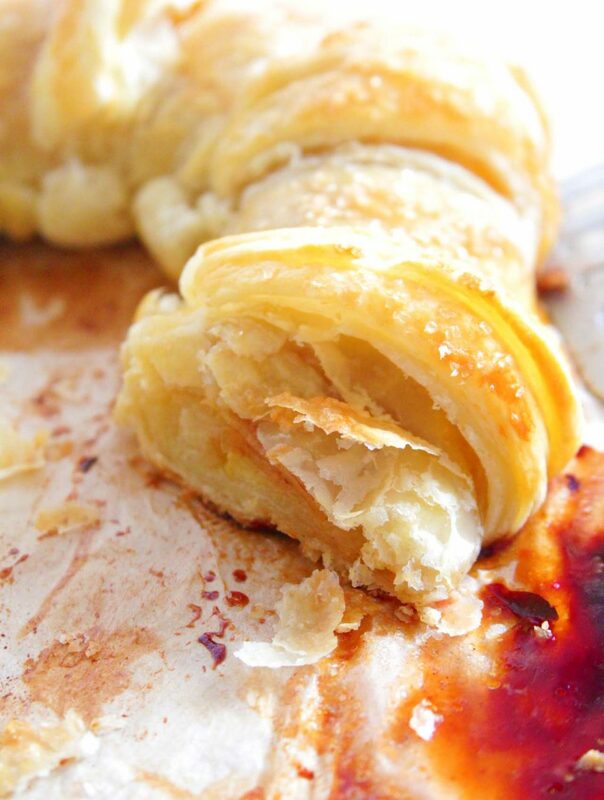 This apple puff pastry ring could make a great holiday breakfast too, so simple and quick to prepare and bake but so tasty! You will want to make these baked apples in puff pastry almost every day this fall! I made this for Ellie and I so the ingredients listed below are for a small ring, please adjust to your needs. « Genius Way To Make Your Stainless Steel Sink Sparkle! Tried this out and mine was ready in 25 minutes. With the pastry rolled out, didn’t quite get the size you did, so not sure where I went wrong with that one. I used a small apple instead and added 1/4 of another apple. Maybe a bit too much apple, but still turned out delicious. Would this work as well with a pizza dough? Hi. I’m glad it all worked out well for you! As long as it was yummy, nothing went wrong 🙂 Using pizza dough will give it a different taste and texture as it won’t be flaky. Did you defrost the puff pastry first ? How much brown sugar is used inside the apples or is that just to my taste? I did defrost first and the brown sugar is to taste. Apple ring looks delicious. Shall treat myself to one at Christmas. Thank you for sorting my dessert, shall have it with some rich cream. Thanks for stopping by, Deirdre. Enjoy your apple ring! I’d love to make this, but every recipe needs to say how many it will serve. Everything sounds yummy, but I need to know much to make. Thank you. Hi Joan. I’m sorry but I find your comment ridiculous! Not all recipes can be made in servings. Like this ring! You can cut it in small slices or big slices. We love big slices so I cut the ring into 6 slices as pictured in the article. Other people may prefer to cut it in 8, 10 or even 12.